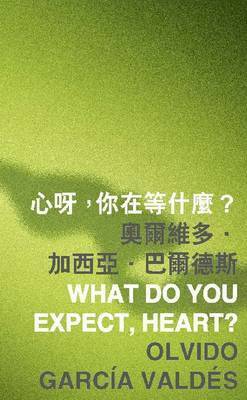 Drawn from International Poetry Nights in Hong Kong 2013, What Do You Expect, Heart? is a chapbook of poetry by Olvido Garcia Valdes presented in Spanish, English, and Chinese. What Do You Expect, Heart? is also available, along with the chapbooks of other internationally renowned poets, in Islands or Continents (Eighteen-Volume Box Set). Selected poems from this volume are featured in the anthology Islands or Continents: International Poetry Nights in Hong Kong 2013.